HighTop is a professional meat rabbit cage manufacturer and supplier, our commercial meat rabbit cage can help meat rabbit breeders improve their centralized management and meat rabbit production. 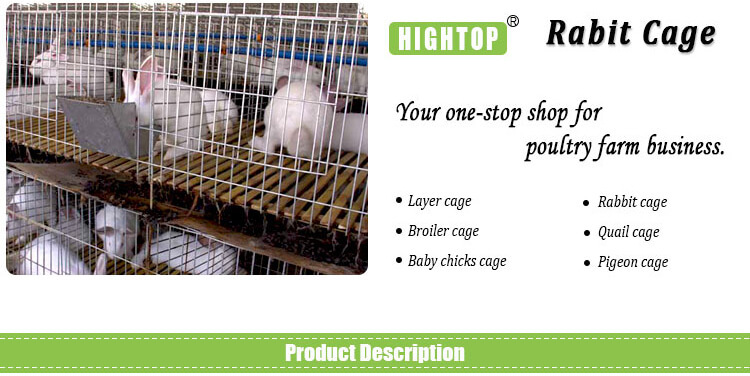 We can offer 2 story rabbit cage and 3 tier rabbit cage for commercial rabbit meat production. Why Choose Raising Meat Rabbit? Rabbit meat has high protein content, including eight essential amino acids that the human body cannot synthesize, especially high lysine content. Rabbit meat has less fat and low cholesterol. Rabbit meat is rich in vitamin B, especially niacin. Rabbit meat is rich in minerals, especially calcium. Rabbit meat is highly nutritious and low in calories. 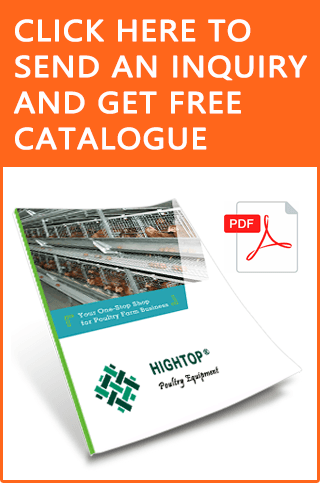 Why Choose Commercial Meat Rabbit Cages? 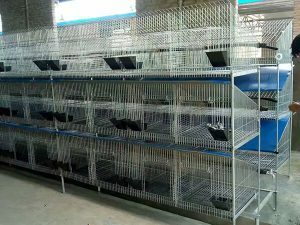 Commercial meat rabbit cages can save your floor space. 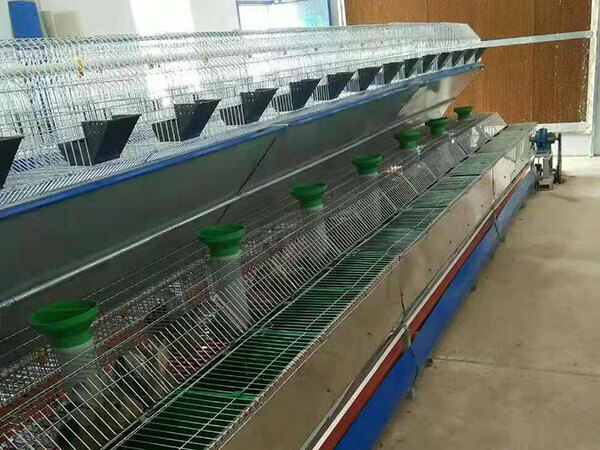 How Long is Your Meat Rabbit Cage Service Life? Our commercial meat rabbit cages use quality steel wire made from low carbon steel Q235, and surface treatment is electro or hot dip galvanized, which is strong and durable, the survice life can be up to 7-10 years for electric galvanized, and 15-20 years for hot-dip galvanized. Capacity: 3 tier, 18 nests, 18 rabbits. Installation size: 1.8m (L) x 0.5m (W) x 1.65m (H). 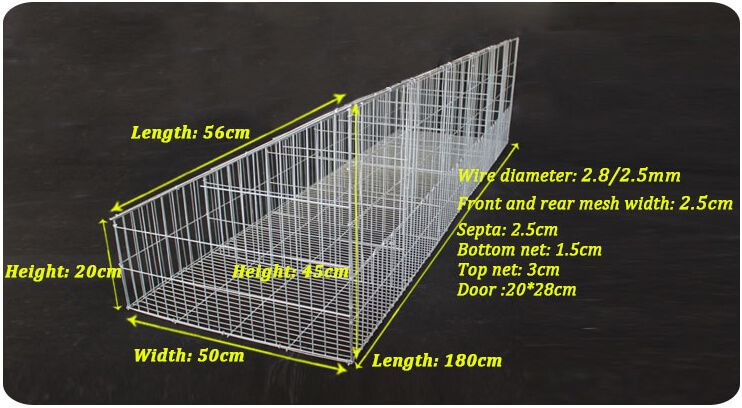 Cage size of one line: 1.8m (L) x 0.5m (W) x 0.45m (H) for front, 0.2m (H) for back, including 6 nests. Nest size: 0.3m (L) x 0.5m (W) x 0.45m (H) for front, 0.2m (H) for back. Big slope making the manure easily roll down, and easy to clean. Keep the baby rabbit to 2.5 – 3kg. Installation size: 1.4m long, 0.5m wide, 1.65m high. 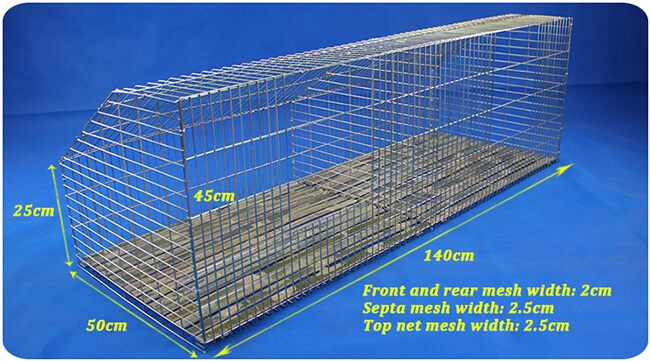 Cage size/strip: 1.4m (L) x 0.5m (W) x 0.45m (H) front x 0.25m (H) back, 2 nests. Nest size: 0.7m (L) x 0.5m (W) x 0.45 (H) front x 0.25m (H) back. Big slope making the manure easily roll down, easy to clean. Keep the 2.5-3kg rabbit to 7.5kg as parent. The cage can hold the box for giving birth to baby rabbit. 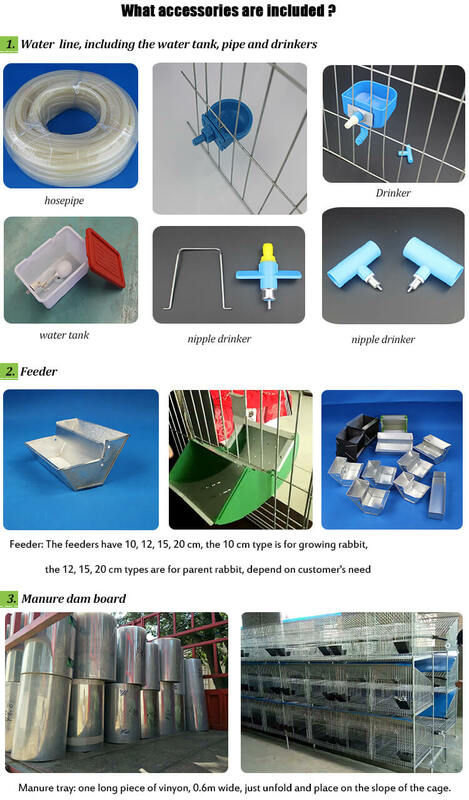 The accessories for our commercial rabbit cages including water tanks, pipes and drinkers, feeders, manure board and other rabbit cage accessories.